Do you love keeping bird bath in your garden and watching birds splashing with joy in it? If yes then making a terracotta pots bird bath can be your next project to try this spring. 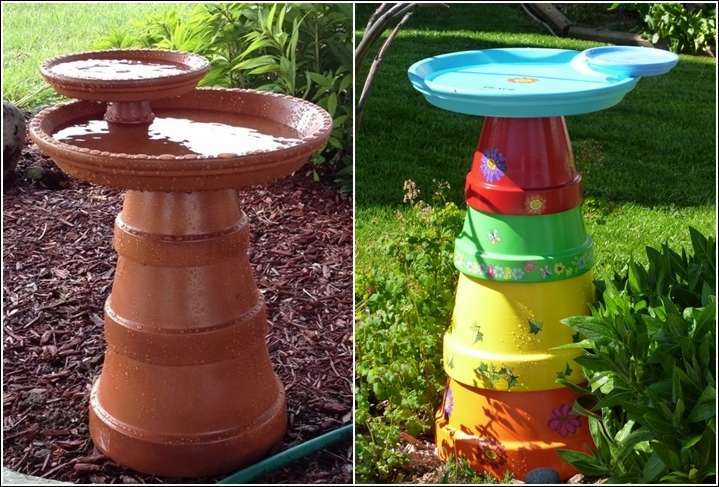 To make a three tier bird bath you have to stack three clay pots of different sizes over each other and as you stack each pot apply silicone adhesive. On the top most pot glue a terracotta saucer. When the adhesive has dried, paint the pots in the color of your choice and make designs too if you like. 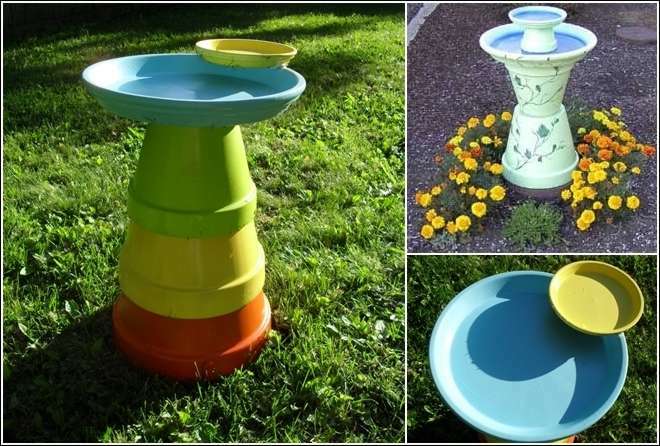 Spray the painted pots with a sealer, let the bird bath dry and voila!